A password manager that uses gpg to encrypt and decrypt stored passwords and uses kdialog to provide a GUI. 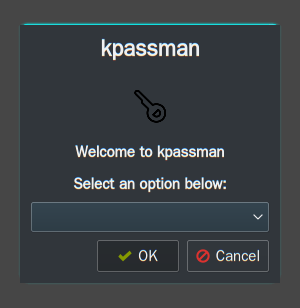 Encrypted passwords are stored in ~/.kpassman. After decryption, passwords are copied to the clipboard for 45 seconds using xclip.